The salty waves of the ocean are powerful and full of energy. 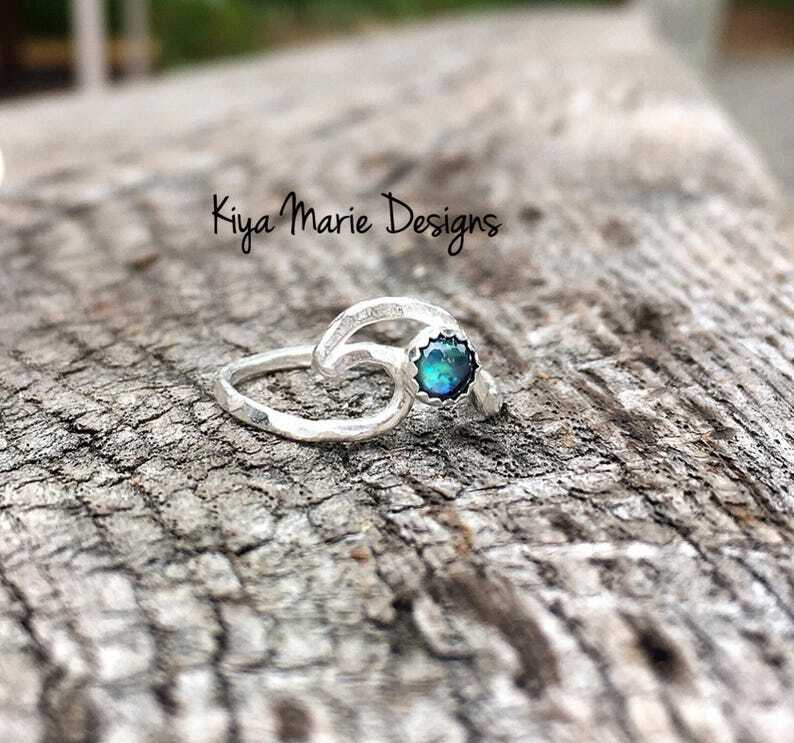 A beautiful hand textured wave ring will sparkle like the sea on your finger! A pretty abalone (paua) shell has been added to my traditional wave. Please note that I use both natural and blue abalone shell, each will be different. If there is a particular shade you like, please include that in a note and I will do my best to match it. Abalone is iridescent and will exhibit different shades depending on the lighting. This design could also be considered a shark fin or dolphin fin. Each ring is made to order, and each wave is shaped by hand. Please note that each wave may look different due to the hand-shaped nature of this item. Made from Argentium Silver, a tarnish resistant silver that is made to last and shine. It is 100% recycled silver, so it is 100% Eco-friendly! Please allow 3-5 days for the fabrication of your ring before shipping. Usually it is even quicker than that. Please note that wave may vary in size depending on ring size. Smaller size = slightly smaller wave. Size 8 shown in the photos.